Major developments are happening on the Aequitas NEO Exchange. 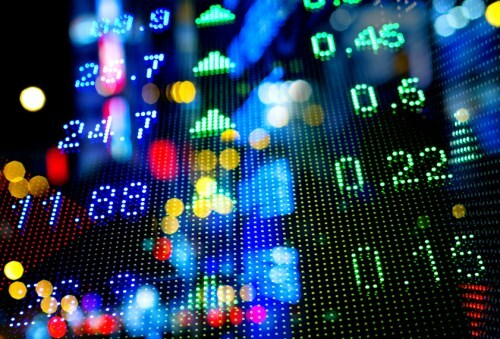 Among the most significant is Invesco Canada’s announced plans to launch two new PowerShares ETFs – the PowerShares S&P 500 High Dividend Low Volatility Index ETF (UHD) and the PowerShares S&P Global ex. Canada High Dividend Low Volatility Index ETF (GHD) – to join its other products on the exchange. We recently chatted with PowerShares Canada Vice President for Product & Business Strategy Christopher Doll, who tells us more about the move and some predictions for the ETF space. WP: What trends and changes do you expect to see in the ETF industry as we head deeper into 2017? Christopher Doll: ETFs have been a tremendously disruptive technology within the asset management industry, and I believe this disruption will continue. I expect we’ll see continued growth of fixed-income offerings. I also think we’ll see increased interest in offerings that apply an environmental-social-governance (ESG) filter in the selection and weighting of underlying investments, as this is a burgeoning theme. WP: You decided to list your new ETFs on the NEO exchange because of efficiencies, quality of service, and cost reductions it provides to the Canadian ETF industry. How was it able to provide those benefits? Doll: Aequitas has redefined what it means to be a securities exchange in Canada. They have built a platform that emphasizes customer service, and this client-centric culture has resulted in a more efficient service at a lower cost. NEO has demonstrated their commitment to efficiency and minimizing costs across all its business lines, including its listing and trading platforms. This helps us at Invesco reduce our overall costs, which benefits our investors. Add to that, NEO has put in place a series of trading mechanisms that benefit quality of execution by countering predatory trading strategies. Again, this benefits investors by allowing them to avoid unnecessary intermediation that can lead to less-favourable trades. WP: How does NEO provide enhanced transparency and service model choice? Doll: NEO offers free real-time market data to retail investors and low cost real-time market data for investment advisors, across the globe. This provides enhanced visibility and global transparency, allowing NEO-listed securities to benefit from the broadest possible exposure both domestically and internationally. WP: Can you comment on how NEO’s offering affects or attracts investor demand for your products? Doll: Aequitas has actively worked to promote the NEO Exchange as they work to solidify their place in the capital markets. While we cannot predict the liquidity of a security before it is listed and begins trading, we believe NEO has a unique liquidity program, which was designed specifically for NEO-listed securities, that provides real and reliable liquidity. Investors can think of it as a liquidity safety net when and where it is needed, which we believe will help drive demand for Invesco products listed on NEO. On top of that, their approach to market data and building awareness of securities listed with them is expected to lead to positive results. WP: The Wall Street Journal has said that in 2016, ETF investors learned to embrace an active approach. Do you expect more investors to become more active this year? Doll: We definitely believe that more investors will adopt ETFs for tactical exposure as opportunities arise. This is largely due to the ease of trading, as well as the quick exposure to specific asset classes that ETFs provide. Also, ETFs are becoming even more specific to which asset class, region, sector and factor they provide exposure to. This can drive investors to use ETFs more actively in a portfolio.